Ever since the release of The Legend of the Poro King, poro popularity has been on the rise. 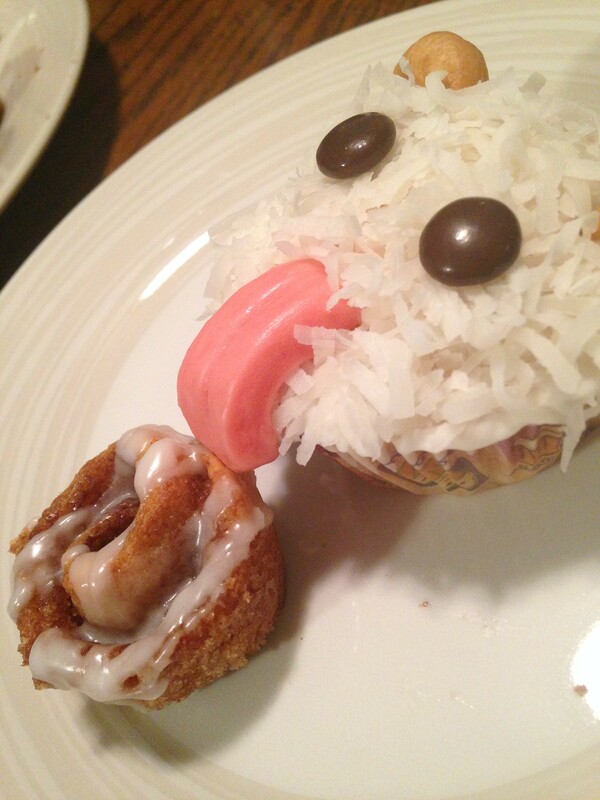 You want to bring poro-themed desserts to your next LAN party, but everyone has seen those before. What else can you bring with your poros to spice things up? What goes with poro cupcakes? Poro-snax of course! 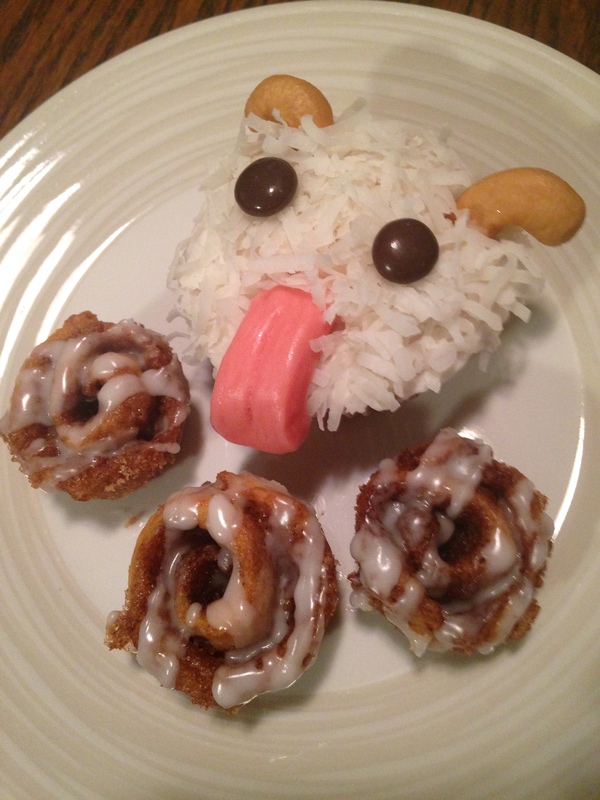 Now you can make your very own Poro-Snax to go along with your Poro Cupcakes! Poros are adorable, fluffy white creatures from League of Legends. Players start the game with one Poro-Snax each, and can feed it to a Poro. When fed, the Poro grows slightly larger, spouts out a few hearts, and follows the player around for a few minutes. If the same Poro is fed 10 Poro-Snax (meaning every player in the game feeds their Snax to the same Poro) the Poro grows so large he explodes into smaller Poro. Needless to say, Poro love their Snax and nothing will keep them from eating more! In The Legend of the Poro King, poro play a key role. Players must throw their poro at the enemy team, and once 10 poros connect, that teams summons a huge poro king to fight for their team. Even though in-game text explains that Poro-Snax are a type of meat product, they clearly look like cinnamon buns. 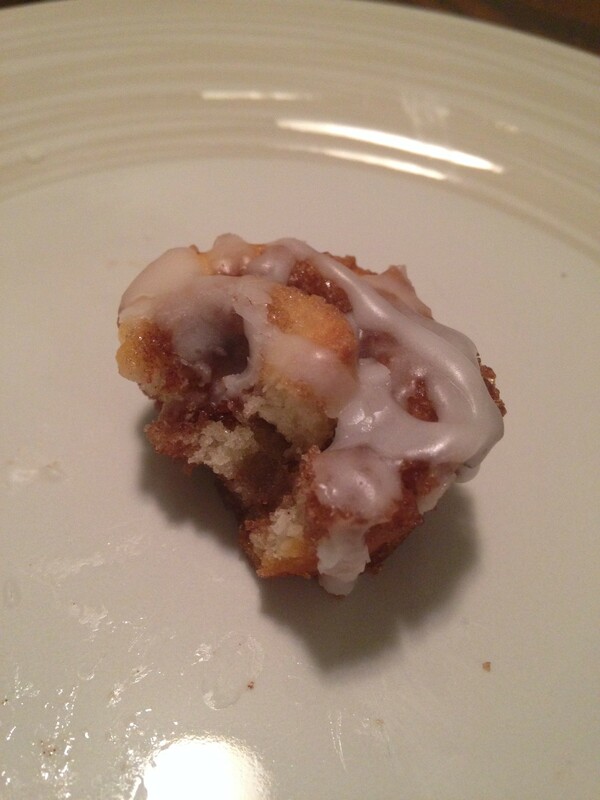 So, I have picked out an easy cinnamon bun recipe (No yeast!). Also, it makes me kind of sad think that soft, sweet, adorable poros are vicious carnivores. 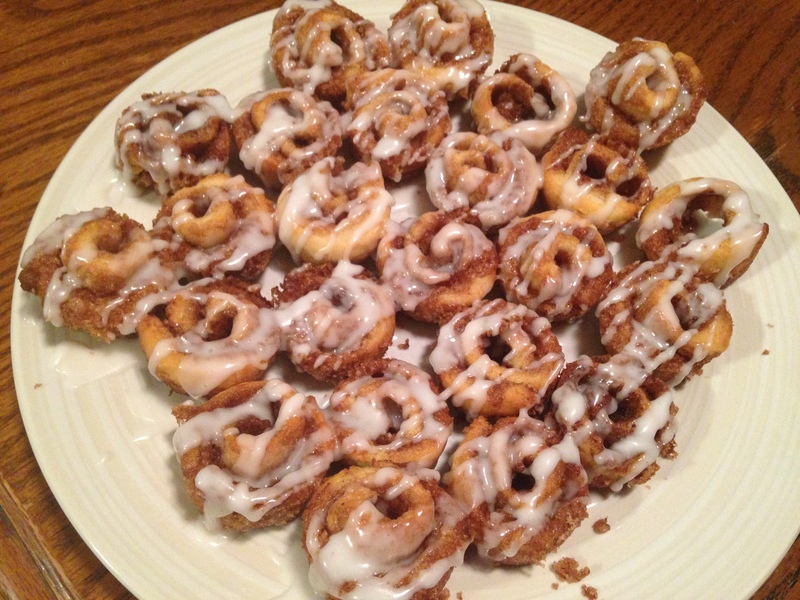 Cinnamon buns are usually accompanied with icing, so I have included some icing in the recipe as well. The in-game icon of Poro-Snax doesn’t appear to have icing on it, but the snow seen in the popular Trial of the Poro looks like icing! Now for the recipe. I like using a mini muffin tin to keep the Snax from touching each other and to help them keep their shape, but you can also use a round cake pan. Preheat your oven to 400 degrees. Or, wait until you begin rolling the dough and then preheat it – because it’s not the 1930’s and ovens don’t take that long to preheat anymore. But people are still accustomed to oven times appearing at the top of recipes, so I will still say it now. First we are going to make the filling. Add your butter, sugar, and cinnamon together and combine them evenly. 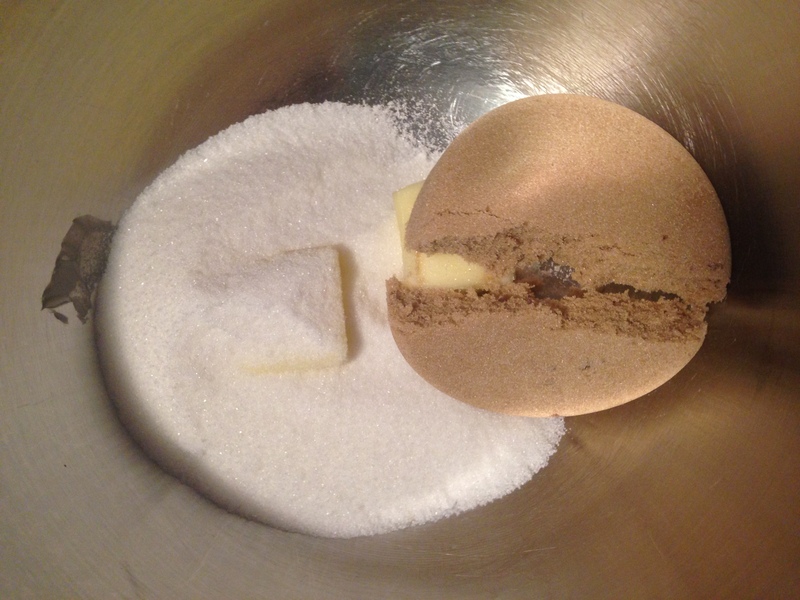 The mixture will appear crumbly. 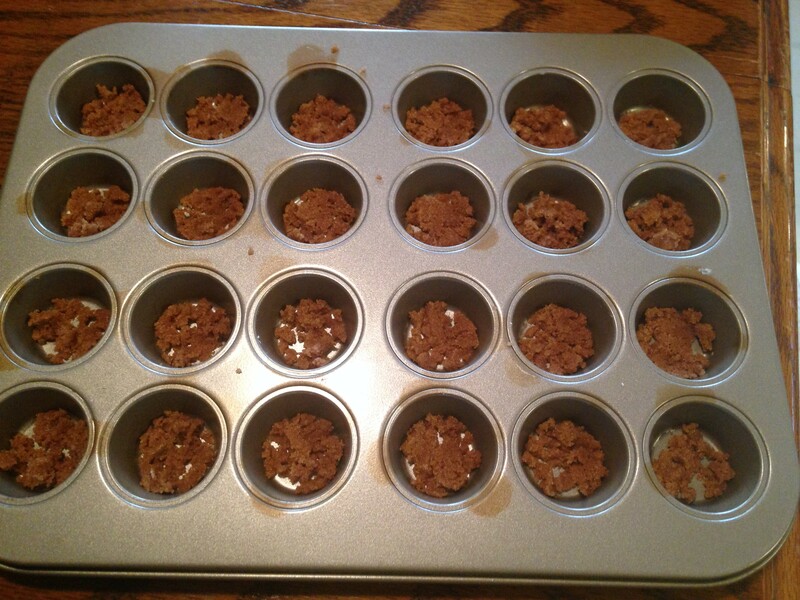 Add a small amount to the bottom of each mini muffin cavity. Next, make the dough. Mix together your butter and sugars first, then add the dry ingredients. Remember that brown sugar should be packed. If it comes out in the shape of the measuring cup, you did great. Also, remember that flour should not be packed. If your flour comes out in the shape of the measuring cup, you dun goofed. 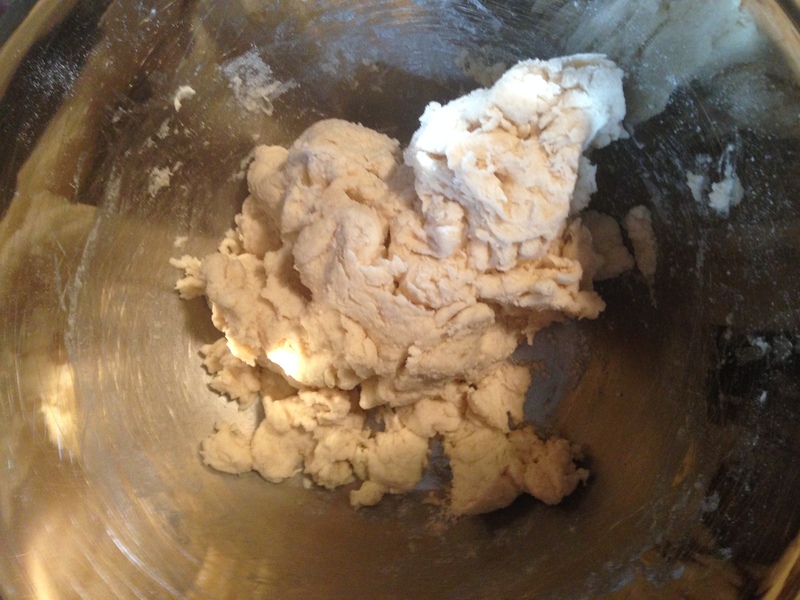 The dough should be thick and malleable. You should be able to pick it up with your hands, flatten it, etc, but it will be sticky and that’s okay. You will put flour on your hands to keep them from sticking. Also wash your hands before thoroughly handling this food you are going to serve to others. Next we need to roll out the dough. 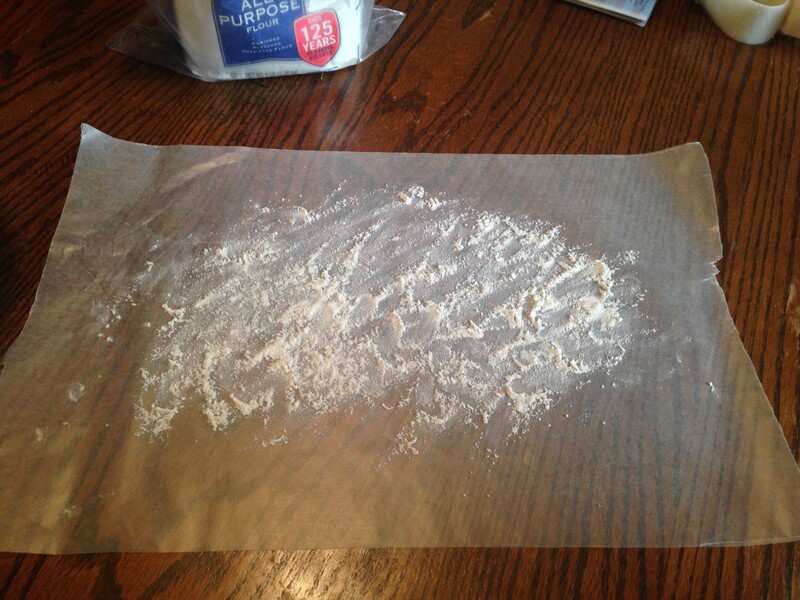 Put down a piece of waxed paper and toss flour all over it. The flour will keep your dough from sticking to your surface. Don’t be shy here, get a lot of flour on that waxed paper. 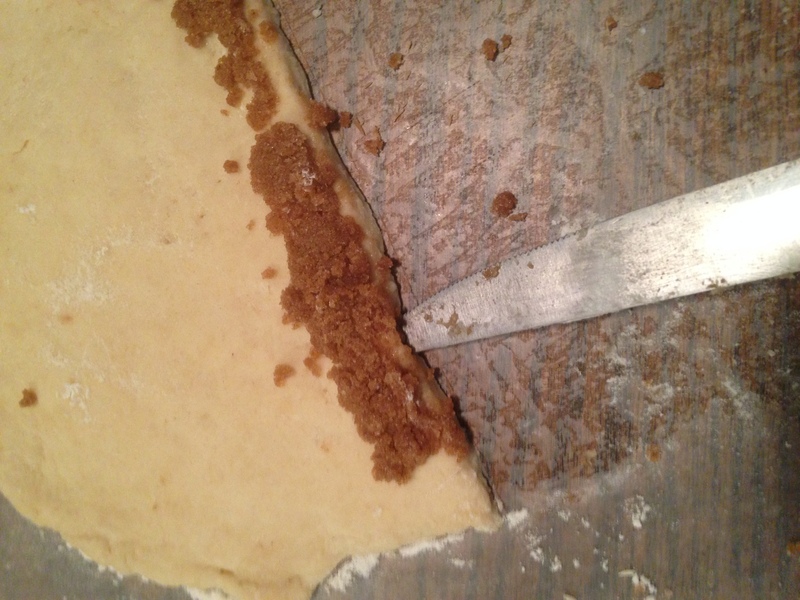 It’s the worst when the dough sticks while you’re trying to roll it up; you’ve basically ruined your recipe. I had some of that trouble and wished I’d put down more flour. 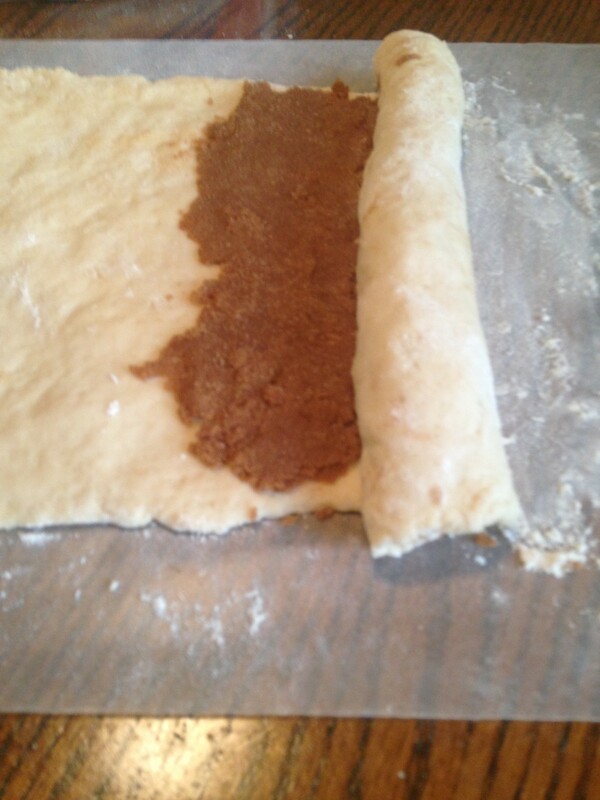 Roll out your dough into a rectangle and add a layer of your filling on top of it. 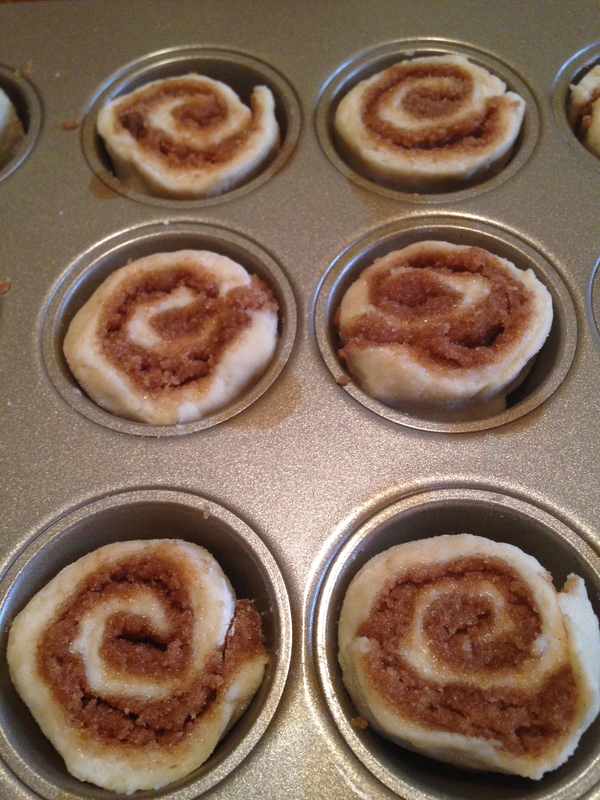 Because we are making mini cinnamon buns, the dough should be a bit thin. My layer of filling on top was a little too thick – your filling layer should be as thick or slightly thinner than the dough layer. Because my filling was too thick it exploded all over the snax when they were baked. Next, begin rolling up your dough until you get about a 1 inch log (or whatever circumference to fit inside of your mini muffin tins). As you’ll see, this part is a big pain if your dough sticks to the waxed paper. Once you have your log, cut off it off from the rest of your dough. Cut about 1 inch thick rolls out of your log, as shown below. If you’re having a lot of trouble getting your dough to roll because it’s sticking to your waxed paper, as I did, flour a knife and stab at the bottom of your dough. 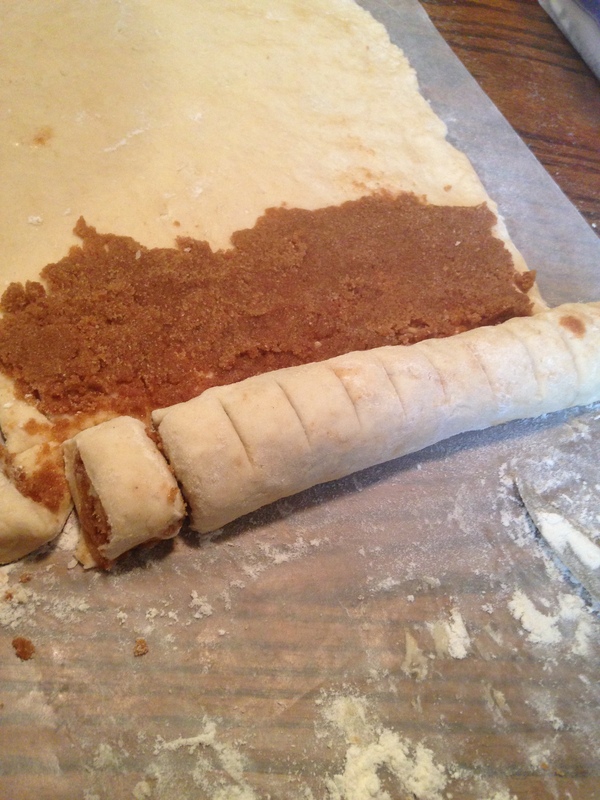 Once lifted, you can liberally shove more flour under it (I am apparently not very good at this whole rolling thing). After you’ve cut out your rolls, place them into your muffin tins. The tins should be filled up most of the way – the dough doesn’t rise very much. Bake for 20ish minutes, until golden brown. Do not overbake! The snax are best when just baked, and will be fluffy and delicious. Overbaking will make them crunchy and in worst cases, rock like. Check on them at the time gets close to 20. Make the icing while the snax are baking. 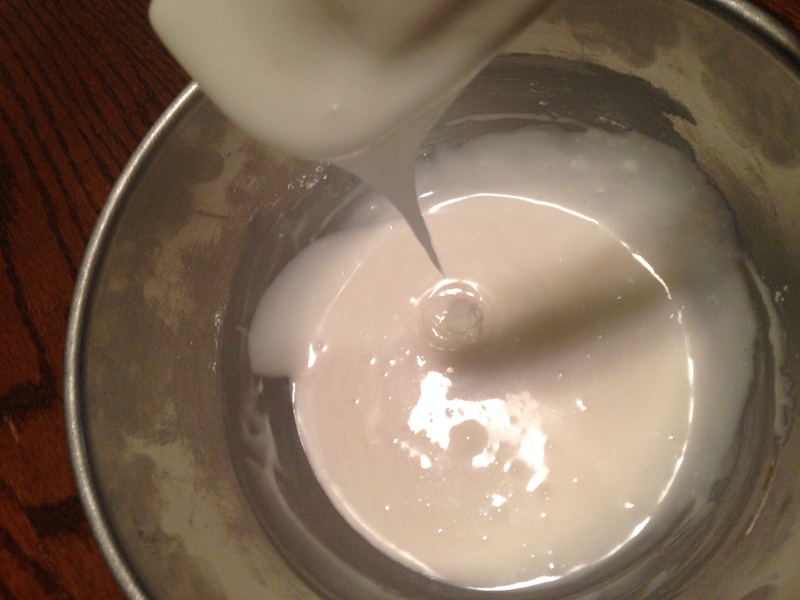 Mix together your powdered sugar, butter, and milk until you get icing that tastes good and is pourable. Remove the snax when they are done. Contrary to most recipes, remove the snax from the pan as soon as you can. If they cool in the pan, the sugar may glue them in and then it’s a big pain to remove them. My snax came out looking a bit dark because I had too much filling in them, and the filling bubbled out. Drizzle the icing all over them and you’re done! 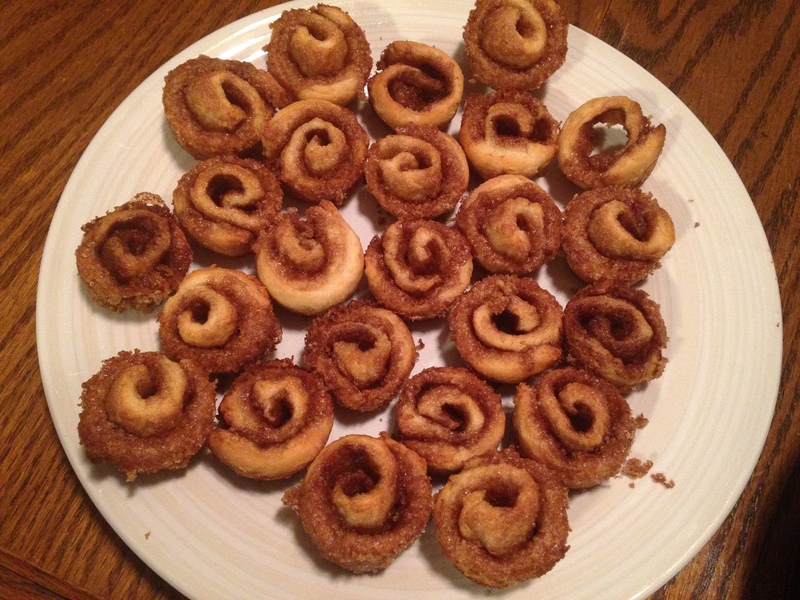 You can go without the icing if you think they look more like traditional poro-snax without it. 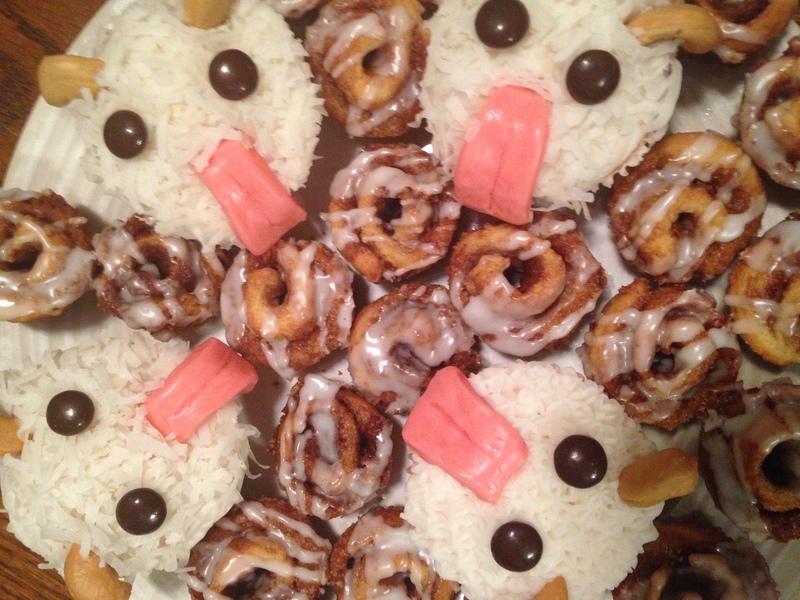 You now have a delicious batch of poro-snax for your poro cupcakes. Enjoy! Vote for your server for RP giveaways! Giving away 1300 ($10) Riot Points! The Best URF Lane combo? Sona + Soraka!